No people in America have suffered more as result of turning moral standards over to the nation's political class than blacks. Video number eight from the Center for Medical Progress has been released, containing segments of material from its previous seven videos, depicting Planned Parenthood's gruesome commerce in infant body parts. This includes commerce in intact cadavers. One segment shows an executive of one of its client firms laughing about it. This latest video has provoked a new round of demonstrations by thousands across the nation to continue to raise awareness about the sickening, inhumane, and yes, uncivilized behavior that is tolerated in our nation. And even more unbelievably, that taxpayer funds (more than $500 million dollars annually) are funneled to Planned Parenthood, which conducts this activity. How do we, with any seriousness, have discussions in America about fairness, about decency, as our tax dollars go to the nation's largest abortion provider — 327,653 done in its fiscal year 2014 — which then engages in trade in the remains of these infants? By what standard can Americans speak about social justice? What is right? What is wrong? It seems to have evaded many American minds that we have two choices about where to turn to get our standards for truth: either traditional Biblical sources or popular culture and politicians. No people in America have suffered more as result of turning moral standards over to the nation's political class than blacks. Yet blacks, despite on average having the highest church attendance in the country, continue to allow politicians to define morality. The Black Lives Matter movement is supposedly about social justice. Their supporters express outrage at the sentiment that "all lives matter," claiming this denigrates and trivializes the unfair treatment of blacks in the criminal justice system. But how do you define fair or unfair behavior toward particular lives in a society that politicizes the most serious questions concerning life itself? 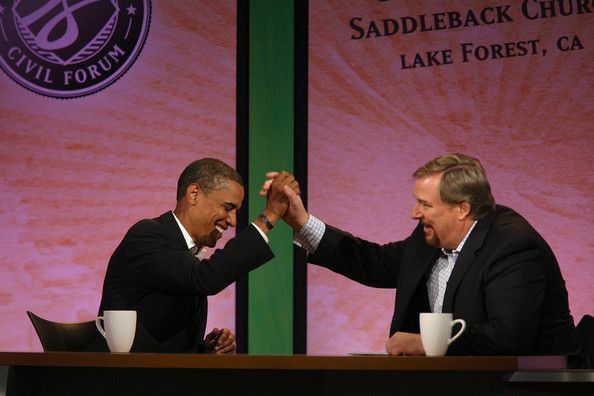 Let's wind back the clock a few years to August 2008, when then-Senator Barack Obama, Democrat candidate for president of the United States, sat in Pastor Rick Warren's Saddleback Church in Orange County, California, and was asked by Pastor Warren, "At what point does a baby get human rights, in your view?" Obama's reply: "Well, you know, I think that whether you are looking at it from a theological perspective, or a scientific perspective, answering that question with specificity, you know, is above my paygrade." A man who has no absolute standard for defining the onset of life has been elected twice as America's president, with 95 percent of blacks voting for him. And we wonder why the country is confused? Blacks wonder why justice is politicized and unfair? Fair based on what? What a politician decides? According to the Center for Disease Control, 36.2 percent of abortions in 2011 were performed on black women, about 3 times the percentage of black women in the female population. Blackgenocide.org estimates that there have been 16 million black abortions since 1973. It seems blacks themselves have decided that black life is cheap. In 1970, three years before Roe v. Wade legalized abortion, around 55 percent of black adults were married. By 2010, this was down to 32 percent. In 1970, around 30 percent of black women who gave birth did so out of wedlock. By 2010, this was up to 72.5 percent. The politicization of truth, of absolutes about right and wrong, has taken a toll on all of America. But like all problems in the country, blacks are hit the hardest. Want to make America great again? Restore our culture as one of personal responsibility. All lives will matter when we restore our national respect for the mystery and sanctity of life. Begin by ending the outrage of U.S. taxpayer funds going to Planned Parenthood, supporting the most degrading, dehumanizing, uncivilized activities that the human mind can imagine. Doing so will demonstrate that Americans can once again respect themselves and as a result, respect each other.